DAVID LE/Staff photo. 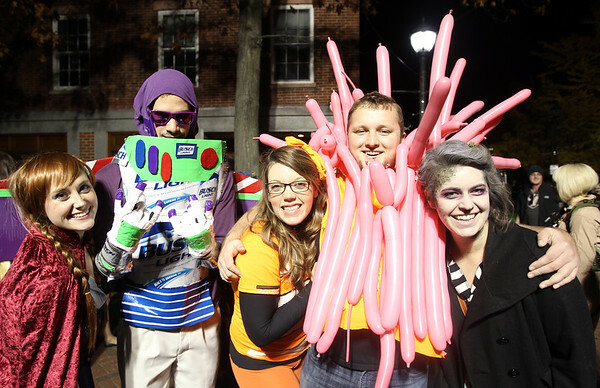 From left, Salem residents Becca Rega, Ben Sewards, Kate Franklin, Chad Rogers, and Elise O'Connell, pose for a photo along the Essex Street Pedestrian Mall on Saturday evening. 10/31/15.